You don't often hit your target if you don't know where to aim. 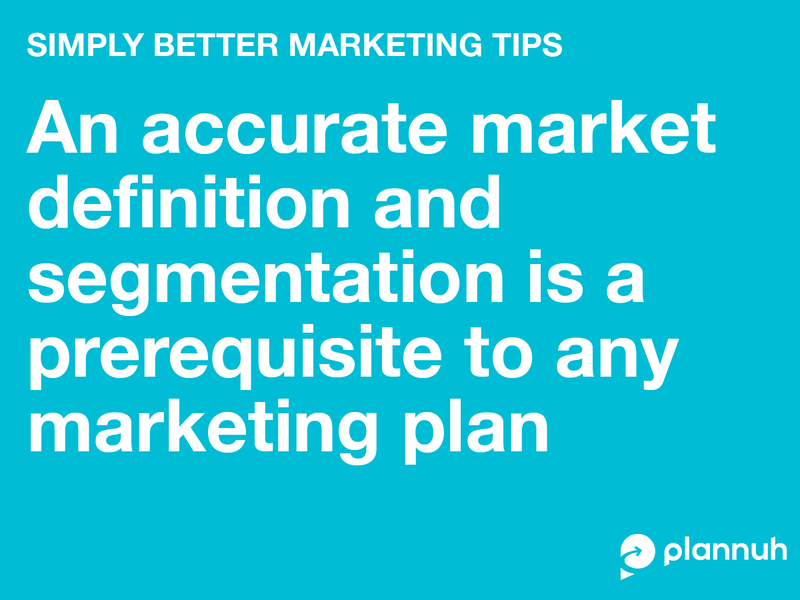 That's why the first step in developing a great marketing plan is to develop an accurate market definition along with a well-crafted segmentation. While this may seem like an obvious thing to do, many organizations haven't gone through a formal process to define their target market - or they haven't done so recently. Without clarity in this area, it is hard to be an effective marketing organization. When asked about the target market, you answer: "our products can be used by anyone", or "all IT professionals benefit from our solution" (that is way too broad). Sales reps complain that they don't have the right tools for the industry that they are targeting. Your conversion rates are really low, which sometimes means that your haven't defined your market well enough. You struggle getting customer references in your target verticals. Start small. Start with the sub-segment of that market that you really understand well. Even if it isn't a big enough market by itself, you will learn a lot by developing a better understanding of a segment. Map out the value chain. If your product is part of a broader solution, you need to show how it fits with all the surrounding pieces of the bigger solution. If it is too hard to complete that exercise, your market is too broad. Define the features of the solution that are specific to your sub-segment. Get specific by defining the product features and value proposition for this tight segment. Draw a channel map for the segment. Once you have a clear view of the solution and the segment definition, draw a map of the channel to make sure you understand how your customers like to buy your product. Over time, you can add more and more detail to the map. You will know when you have it working, because your conversion rates will increase and your sales team will have a much better win rate. What did we miss? We'd love to hear your thoughts in the comments.